Luke, Trudie and Penelope need our help! As you may know Luke and Trudie met in college and married soon after graduation. Their dream of having a family came true when Penelope was born in July 2015. 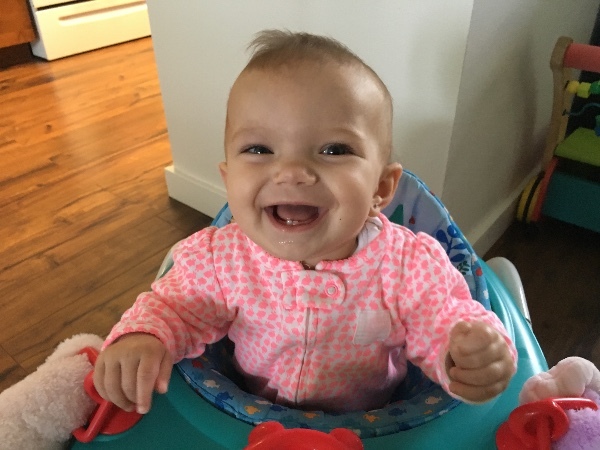 Penelope's smile brightens up a room and Luke and Trudie beam as parents! 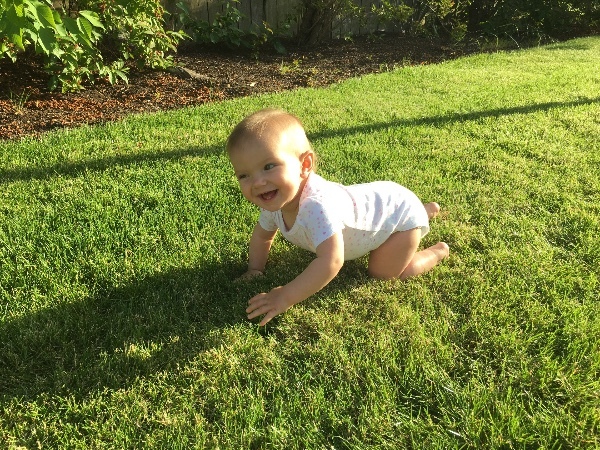 I have been lucky enough to spend time babysitting baby Penelope. It is with a heavy heart to say that sweet little Penelope has been diagnosed with Neuroblastoma. She is currently undergoing more tests to determine the risk of the cancer. She has already been through multiple tests, including surgery for a biopsy, and spent several days in the hospital. As we all know these tests and the upcoming treatment will bring expensive medical bills. This family is very dear to our hearts, as I know they are to many of yours. It is hard to know what to do during this difficult time. Raising money to help pay their bills is what we can do to help. Luke and Trudie are staying very strong and are so thankful for all of your support and prayers. Baby Penelope is smiling and cute as ever! The Puskedra's are tough and will win this battle! Let's help them fight it. Please consider donating, no amount is too small. They will be so thankful for our help. We will keep this site updated. Penelope's surgery was a success. The surgeon was able to remove 95% of the tumor. Penelope is home now and doing so well. She is smiling, laughing, trying new foods and cruising in her walker. What a tough little girl!! Thank you all so much for all the thoughts and prayers over the last couple months. Today is the day Penelope is having surgery to remove the remainder of the tumor. Please send prayers and positive thoughts her way. Luke and Trudie are staying so strong!! Penelope has a smile on her face and is super strong!! She WILL beat this!!! Penelope will go in for surgery Thursday April 28 to remove the remainder of the tumor. Please keep Penelope, Trudie and Luke in your thoughts and prayers. Penelope is going to beat this!! Thank you for the updates. My husband and I wish continued positive progress and healing for this sweet baby. This donation is being donated in the name of Kimber Maddox who turned down her race bonus for breaking a course record at the 2015 Run of the Mill5K in Mill Creek, WA. When asked what to do with it Kimber said please donate it to a worthy charity. Kimber is an amzing athlete and a class act as a person. I also had to privilege of being at many of Luke's races at the University of Oregon and watched him compete with grace, style and respect for his competitors and thus we are honored to give a little bit back to Luke for all he gave to us. 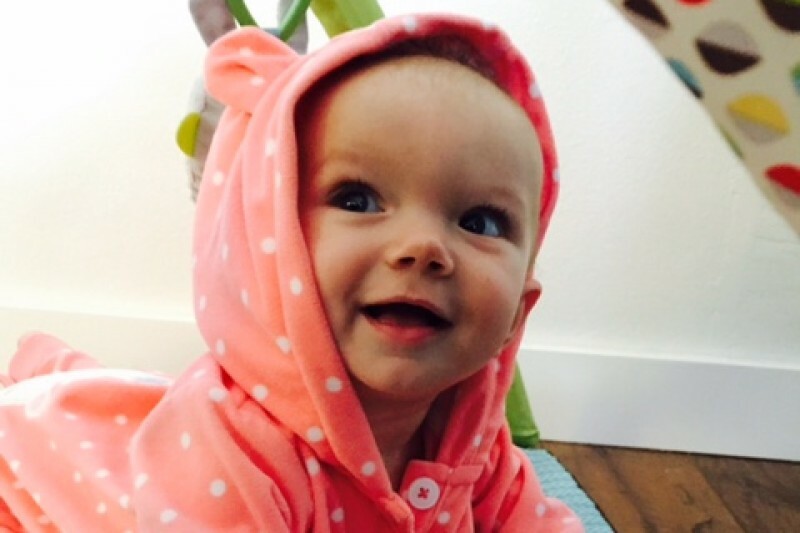 We wish the best for Penelope's continuing recovery and her amazing family.